That was a big pleasure to welcome returned guests from Estonia “Golf Life Travel” at the one and only golf club in Baku! 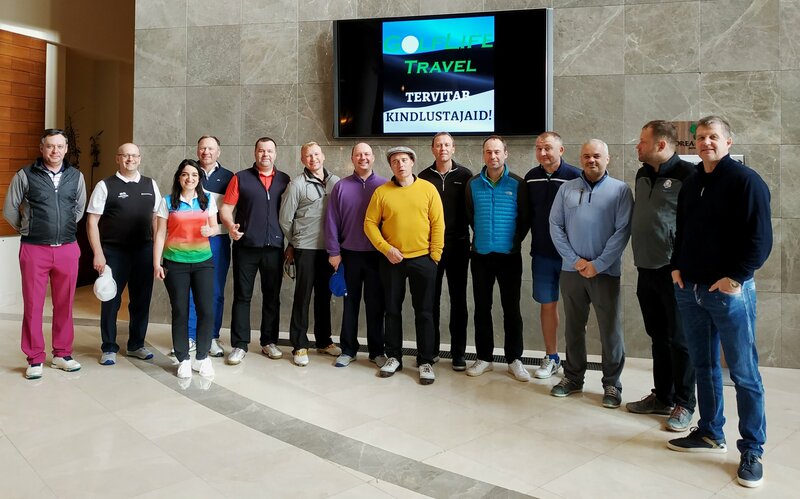 Players enjoyed a 2-night stay at the largest conference hotel of Azerbaijan – Boulevard hotel and had a memorable time by playing golf at the stunning golf course of Dreamland Golf Club! Having discovered the growing reputation of golf in Caucasus region our Estonian guests decided to extend their golf trip with the visit to europian tour property Tbilisi Hills – just 1-hour flight from Baku. Thank you all for visiting Baku, Azerbaijan and choosing Dreamland Golf Club as a new golf destination! We are always happy to see more guests from Estonia and all over the world at Dreamland Golf Club! Discover Azerbaijan with Dreamland Golf Club! For more details please contact Sevda Asgerova on Sevda.Asgerova@dreamlandgolfclub.com or call us right now at +994 12 404 7 404 to avail of our best offers! previous News Susan “ACE” Drummond!